I took ballet lessons growing up and loved everything about it. The self discipline and tenacity the sport requires is something I’ve always respected. My years of ballet are behind me, but there are some things that remind me of it that I can embrace as an adult. Take, for instance, these ankle wrap ballet flats. Everything from the blush color to the ribbons are similar to that of pointe shoes. The Aerin flats have a round toe while the Banana Republic ones are slightly pointy. While there is a difference in materials used, the Banana shoes are a great alternative for a fraction of the cost. 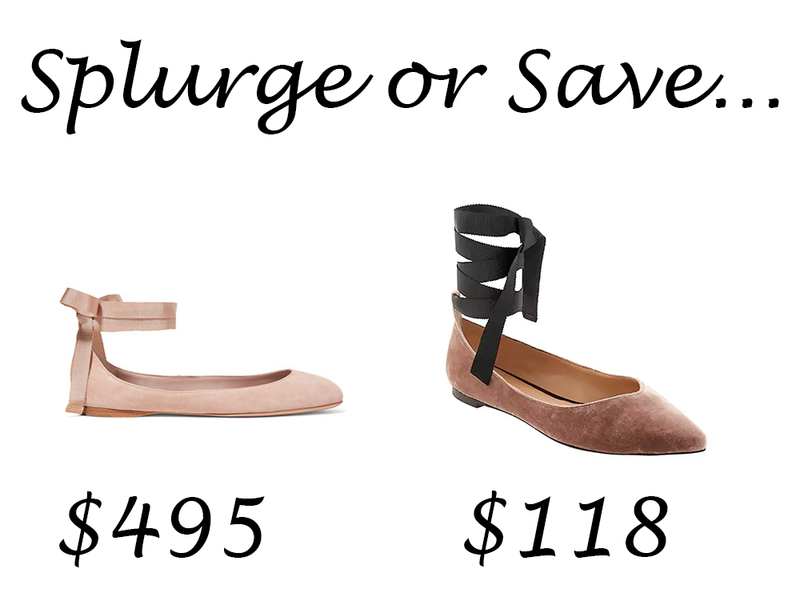 2 Comments on "Flats: Splurge or Save – Aerin v. Banana Republic"